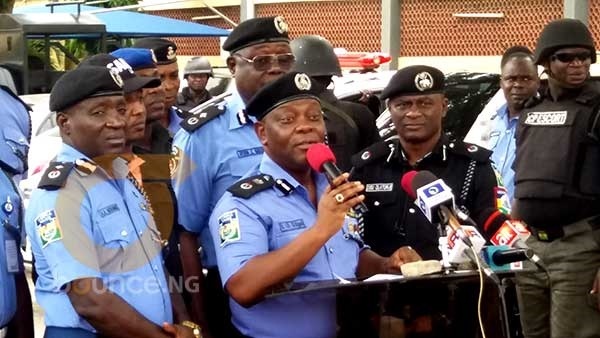 Lagos Commissioner of Police, Mr Imohimi Edgal, addresses newsmen on Monday, April 23, 2018. Police in Lagos state is getting set for a busy schedule ahead. Nigeria is getting busier as political activities increase ahead of the 2019 general elections. Lagos is one of the major states that will host different political rallies, that is why police in the state are getting ready for busy times ahead. The Commissioner of Police, Lagos State, CP Edgal Imohimi has assured politicians in the state of adequate security at their rallies. According to the Commissioner of Police, all that is required of politicians is to inform the police ahead of time about any rally to enable the Command provide adequate security to forestall any breach of peace. However, the Command warned against thuggery and violence of any kind while admonishing politicians and their supporters to play by the rules.